Schedule Your 17-Point Functional Peripheral Nerve Restoration(TM) Evaluation and Case Review Today! 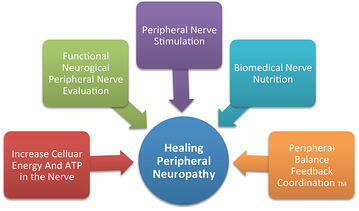 I use a proprietary system for healing and restoring nerve function in peripheral neuropathy patients. I offer a peripheral nerve restoration evaluation and case review to help gain a clear understanding of your problem and determine if you qualify for my peripheral neuropathy program. I am confident it will be the most thorough examination and case review you have ever received. It is completely painless and is available by simply requesting an appointment using the form below. Let's reivew what is included in my 17-point peripheral neuropathy evaluation and case review. A consultation with me, Dr. Karl R.O.S. Johnson, DC, to discuss your peripheral neuropathy problems and concerns. In addition we are going to analyze your current supplements, herbs, natural medicines, botanicals, and homeopathic’s to determine whether they are beneficial or actually detrimental to your condition (based on what you submit). I will also have you provide a copy of your medical records and lab tests and I will go over them with a fine toothed comb. Functional sensory and motor nerve evaluation from head to toes. Is it Time To Defeat Your Peripheral Neuropathy? Request your 17-Point Functional Peripheral Nerve Restoration (TM) Evaluation and Case Reivew Today!